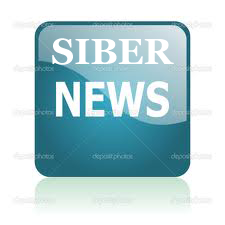 SIBER is an international program co-sponsored by IMBeR (Integrated Marine Biosphere Research) and IOGOOS (Indian Ocean Global Ocean Observing System) that is focused on the Indian Ocean. The overarching goal of the SIBER program is to motivate and coordinate international interest in Indian Ocean research in order to improve our understanding of the role of the Indian Ocean in global biogeochemical cycles and the interaction between these cycles and marine ecosystem dynamics. This understanding will be required in order to predict the impacts of climate change, eutrophication and harvesting on the global oceans and the Earth System and it is fundamental to policy makers in the development of management strategies for the globally important Indian Ocean. SIBER has played a pivotal role in initiation of plans to celebrate the 50th anniversary of the International Indian Ocean Expedition (IIOE). SIBER has also been instrumental in motivating international community to envision IIOE-2 as a 5 years expedition beginning in approximately 2015 and continuing through to 2020. Details on IIOE can be found at IIOE-2. "The Indian Ocean Bubble-2" released on February, 2018"